Bruce Lee, what’s not to love. The world fell in love with him, and martial arts in general when he burst on the scene as Kato in the short lived Green Hornet TV series. Enter The Dragon is well regarded as the best martial arts films of all time. Bruce Lee became an icon that to this day, years after his passing is still honored and beloved worldwide. In China back in 2008 a Television series documenting his life began airing. It lasted a total of 50 episodes and starred Danny Chan as Bruce Lee. Countless martial arts stars appeared through the series run, Mark Dacascos, Ray Park, Gary Daniels, Ernest Miller, even Michael Jai White have all popped up. 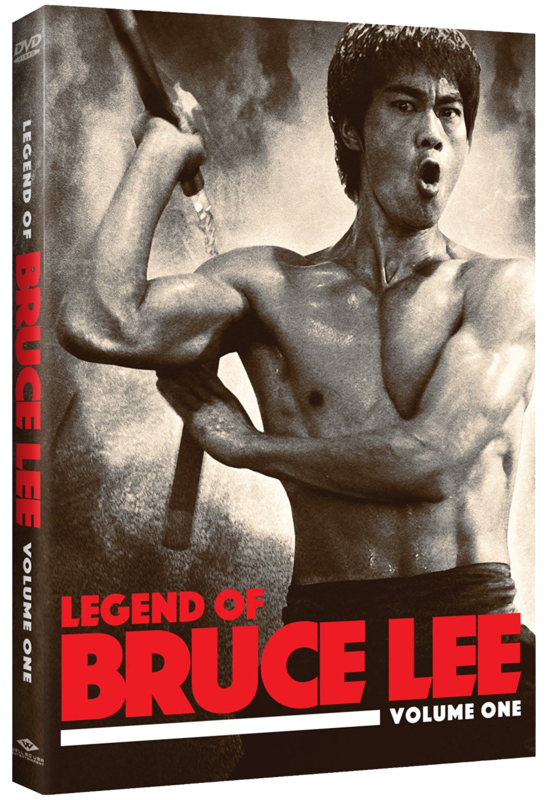 We learn how Bruce began studying martial arts at a young age and used his skills to protect the neighborhood business from gangsters. After an attempt on his life he falls into a coma and when he awakens his parent send him to America where he goes to college and eventually challenges the school Karate Team to a fight against his Kung Fu skills. And what skills they are. Everything the Danny Chan does during these fights just flows and comes to life better than anything I have seen in years. knows, I mean sure its “Documented” but I have read lots of conflicting reports. Is it fun? In a word, YES. This is a fantastic set. The fight scenes are simply amazing. Movie quality to say the least. And let’s face it that why you buy things like this, for the fight scenes. Lionsgate had acquired the rights to this year’s back and edited the series down into a 183min movie, that although decent was in no way up to par with this set. Well Go USA has acquired the rights and are releasing it in Volumes. Volume 1 is a 3 disc set containing the first 10 episode. And it is an amazing set to say the least. It clocks in at a little over 7 hours. As of this writing I probably have about 5 invested. If your like everyone else and are a fan of Bruce Lee, or a fan of martial arts films. Hurry and pick this up. Like I said the fight scenes are some of the best I have ever seen you won’t be disappointed.